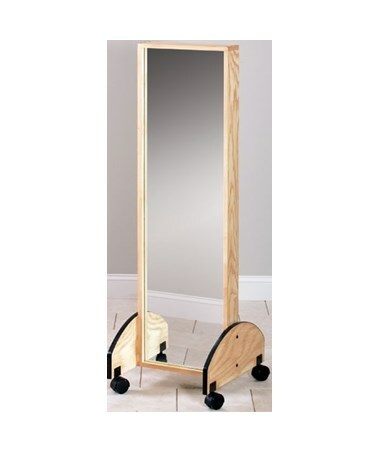 The Clinton Industries Mobile Treatment Mirror is a specially designed with a 1/4" thick reflective yet distortion-free glass mirror that features a safety back that meets American National Standards Institute (ANSI) 297 Standards. 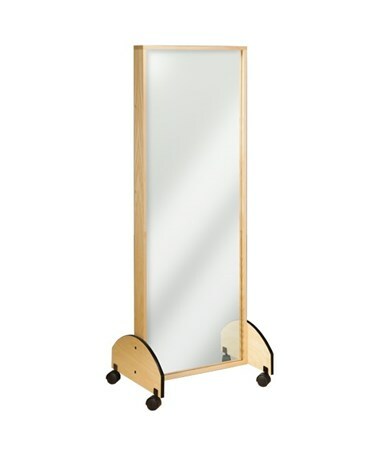 It is constructed with a high-quality plywood frame and has an almond laminated back finish. 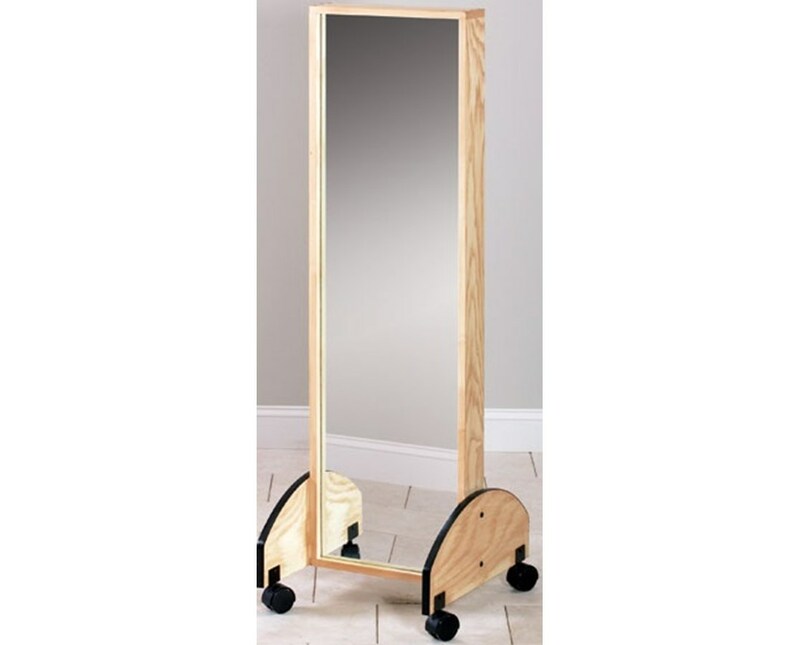 Constructed with 3" swivel casters, the Mobile Treatment Mirror can be rolled throughout any physical therapy, exercise or rehab facility hassle-free and with black tee-molding bumper strips on the side of the base, it prevents any damage.